The Pennsylvania Renaissance Faire, held on the grounds of Mount Hope, is known for its amazing actors, fabulous entertainments and fresh, delicious wines. But now Mount Hope has something new to add to its awesome line-up: crisp, refreshing cider. 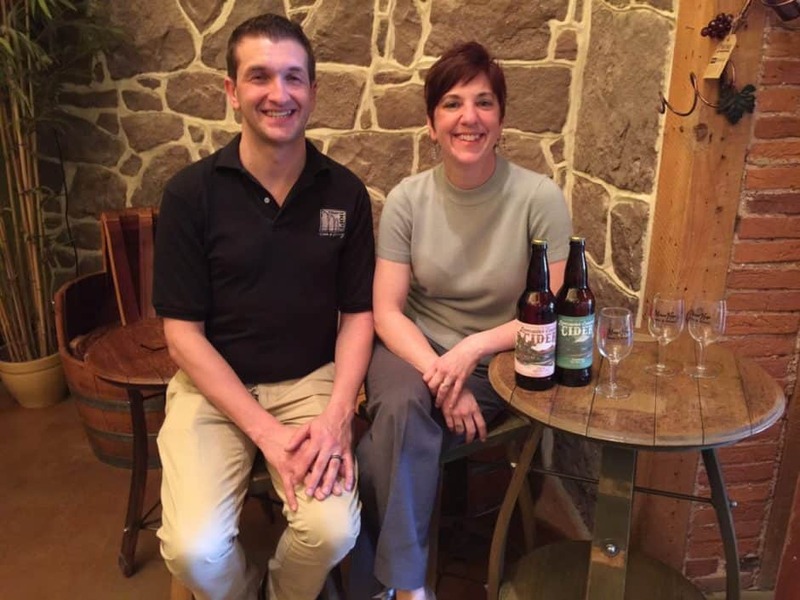 The cider newly on offer at Mount Hope is dubbed Lancaster County Cider and is indeed from Lancaster County. “Demand for cider and mainstream popularity has been skyrocketing,” said Candace Smith, director of sales and communications for Mount Hope Estate & Winery and the Pennsylvania Renaissance Faire. “We enjoy offering products that people want. We are in the business of listening to our customers and what they would like to see in terms of wine, beer and, now, cider. One of our most popular products has been our Spiced Apple Wine. By moving some of our wine production locally, the progression from the Spiced Apple to cider was natural,” she explained. The Traditional Hard Apple Cider is sweet (but not too sweet), crisp and refreshing, but not heavy or dark. It’s a perfect complement to grilled chicken, steak sandwiches or sautéed vegetables. But for a real treat, try the Lancaster County Cherry Hard Apple Cider. Perfectly balanced with sour cherry flavors, this cider is a true standout and an instant favorite of anyone who takes a sip. According to Smith, Lancaster County Cider will be a standard offering at the events at Mount Hope Estate throughout the 2016 season. Important to note, the fresh apple cider used as the foundation of the Lancaster County Cider is locally sourced. Now that the cider process has been created and is moving along, new flavors have been added. Lancaster County Cider will offer three principal varieties—traditional, sweet and cherry—as well as other seasonal varieties throughout the year. The most recently released juicy, sweet and tart Cherry Hard Apple Cider is receiving rave reviews from tasters and consumers. 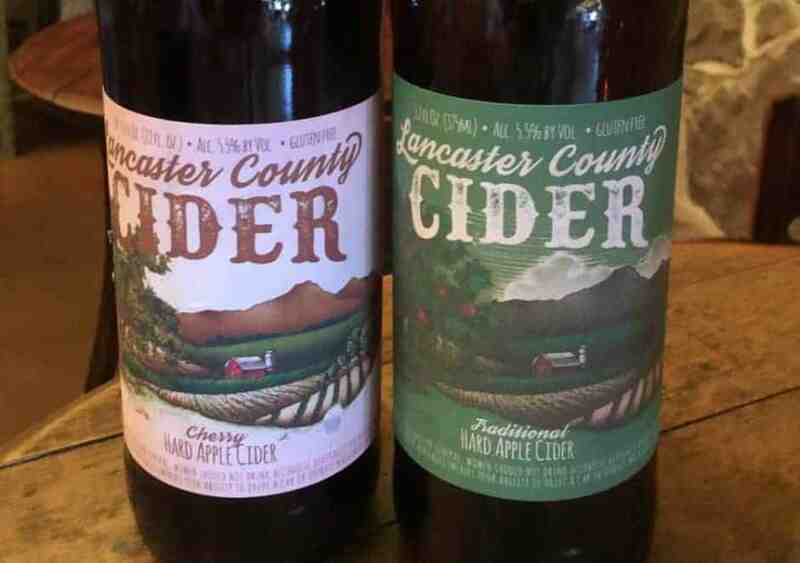 Lancaster County Cider has plans to release a Peach Vanilla Cider later this spring with more flavors to follow in the cooler months, such as Pumpkin Honey, Spiced, Blueberry and Hopped. They also have Brewfest and Flavorfest events on tap, and a Ciderfest is planned for 2017. Lancaster County Cider is going to be showing up in other local areas as well, including the ballpark. Lancaster County Cider is a proud partner of the Reading Fightin Phils for the 2016–2018 seasons. Visitors to FirstEnergy Stadium will be able to enjoy a cold cider from the Lancaster County Cider bar located in the stadium’s main grandstand. You can also find Lancaster County Ciders on tap at the Divine Swine In-Out BBQ, Swashbuckler Brewing Company and Rumspringa Brewing Company. Both the cherry and traditional flavors have been moving well in these locations—and it’s easy to see why. Plans are in place to branch into restaurants, taverns and distributors in the near future. The next step will is moving distribution into the Philadelphia area. Ciders are available at Mount Hope in 22-oz. bottles. Mount Hope is working to make Lancaster County Cider available in 12 packs of 12-oz. bottles in single and variety packs by the end of spring 2016. Find Mount Hope Estate & Winery at 2775 Lebanon Rd. in Manheim; phone: (717) 665-7021. Awesome cider!! A must try. Awesome cider !! A must try. Right on Harry! The Cherry is especially outstanding. My sister-in-law took a day trip to Lancaster county and brought me a bottle of the sweet. I have had a lot of hard ciders and I think this is the best I’ve had! I hope to be able to purchase some of this soon in York county. I am looking forward to trying other flavors. Absolutely delicious. The Salted Caramel is divine. Soooo goooood.